27 years ago, Marquis Hardy was born in Portland, Oregon but raised mostly in Georgia where he has had access to many different genres of music. When he started sixth grade he began playing the clarinet, however between the end of his eighth-grade year and beginning of ninth grade, he taught himself how to play the instrument he had always wanted to play, the saxophone. Through the years, Marquis began to grow as a saxophonist and fell deeper in love with jazz guided by the likes of John Coltrane, Miles Davis, Ben Webster, Louis Armstrong, Count Basie, and his favorite, Sonny Rollins. 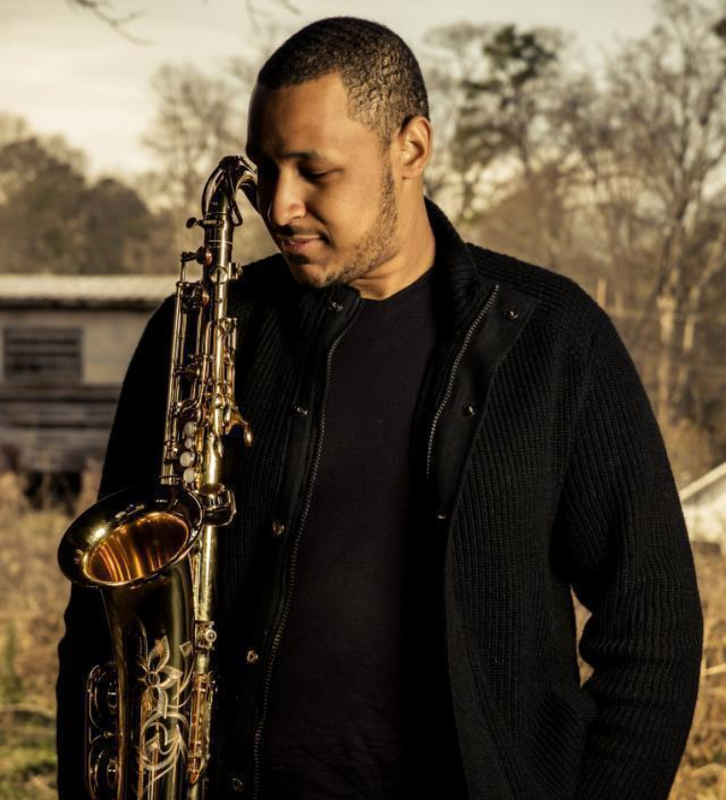 After graduating high school at 17, Marquis received his formal education under the direction of Dr. John Bleuel and Dr. Daniel Bakos at the University of West Georgia where he studied Performance with an emphasis in Jazz Studies and Music Education. It was then he began to grow in to the multi-instrumentalist he is today. Marquis proficiently plays the clarinet, bass clarinet, all forms of saxophone (soprano, alto, tenor, baritone), and piano. Along with the instruments listed before he also teaches flute, trumpet, trombone, oboe, bassoon, and tuba. Marquis has an unmistakable love for people and teaching, which has lead to the amazing blessing of being a full-time working musician. Within the last year God has opened doors for him to become a worship leader at the Nett Church in Lilburn and IHOP Atlanta in Lawrenceville, along with performing with the Marquis Hardy Jazz Band, 10:20, THNKS, and Wendlo.